We keep banging on about the projected shortfall of engineers in the future, and the need to attract young people into our profession. Lord knows its formed the basis for these articles a few times. However as an engineer metaphorically “out in the field” – or possibly literally for all you know – it does equally remain a matter of concern. Instead of bemoaning the fact perhaps we could petition the institutes and suggest ways to tackle the problem? 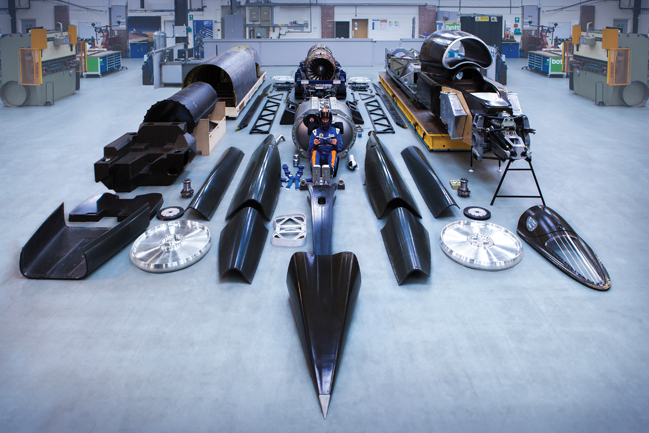 For myself I think Bloodhound remains a fine example of actively engaging with the public in general and children in particular, highlighting the exciting doors that can be opened within the world of engineering. I would like to see the mainstream media pick up on it even more but the assertive use of multimedia platforms coupled to practical hands on activities at least gives an initial template of how such things can be undertaken. What then of other whizz-bang projects that don’t currently do this (hopefully that won’t prove to be an unfortunate choice of phrase)? I have yet to see any evidence regarding actively reaching out to the public with the new America’s Cup contender currently being built in Portsmouth. The main team are undoubtedly flat out getting the boat built and race ready but surely there is scope for employing someone to harvest the undoubted support and enthusiasm? This being to the greater good of both the project specifically and engineering as whole. An international competition that uses bespoke carbon fibre hulled boats skimming feet above the water at insane speeds – what’s not to like? Then there’s Skylon. When was the last time you saw something about this phenomenal aircraft outside of industry publications? Yes its been a long haul to get this far but we know that major strides forward have been made, we also know what it has the potential to achieve. This is truly a revolutionary vehicle – loud, dramatic and beautiful yet how many 14 year olds even know about it? 1) Find out what’s in development in Britain (possibly through inviting applications). 2) Select key projects based on probability of success, novelty and interest. 3) Promote the Hell out of them in the media, education establishments and youth organisations as well as at grass roots events. I say let’s take a lead in influencing the policies of those who head up our profession and start bombarding them with ideas. After all we achieve nothing by merely sitting and wringing our hands. To be fair, Skylon has been in the national newspapers on a few occasions over the last 2 years. The team at Reaction Engines could be a wee bit more promotional, generally, in order to engage schools and Universities. But in their defence, they’ve been pretty busy developing and scaling up that rocket technology. On a related matter, the UK could perhaps do with a “big project” engineering and science festival. There’s been three whole stories about Skylon on the BBC news website! I applaud the projects mentioned, especially Bloodhound, for the work they do enthusing children about engineering but, the people who could have a huge impact are teachers. Sadly, due to lack of training and investment in them, many teachers lack the technical skills and experience of real world design and engineering. If we invested properly in the initial training and professional development of teachers we would have real experts motivating and enthusing our children in every lesson they teach, every day the school is open.